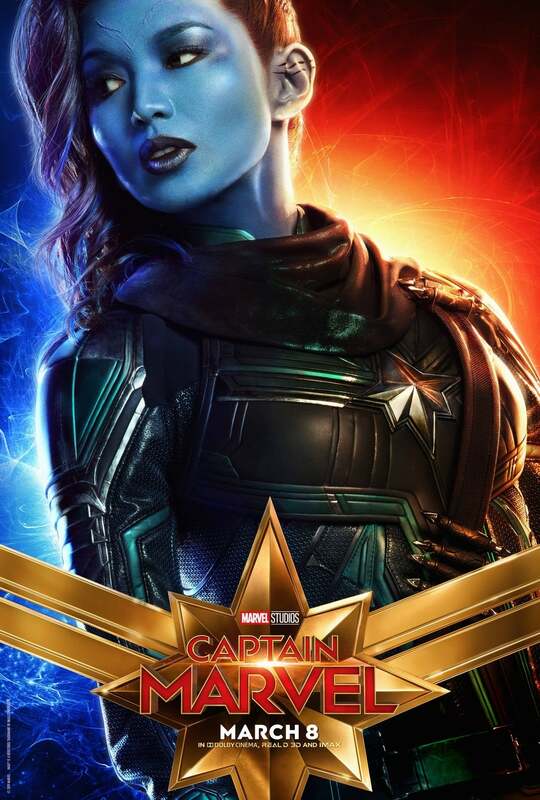 Only 50 days remain until fans can see Captain Marvel finally hit the big screen, and Marvel Studios is helping pass the time a bit with these slick new character posters. The new posters are absolutely gorgeous, featuring the characters at an upwards left angle with the Hala star and the logo towards the bottom. 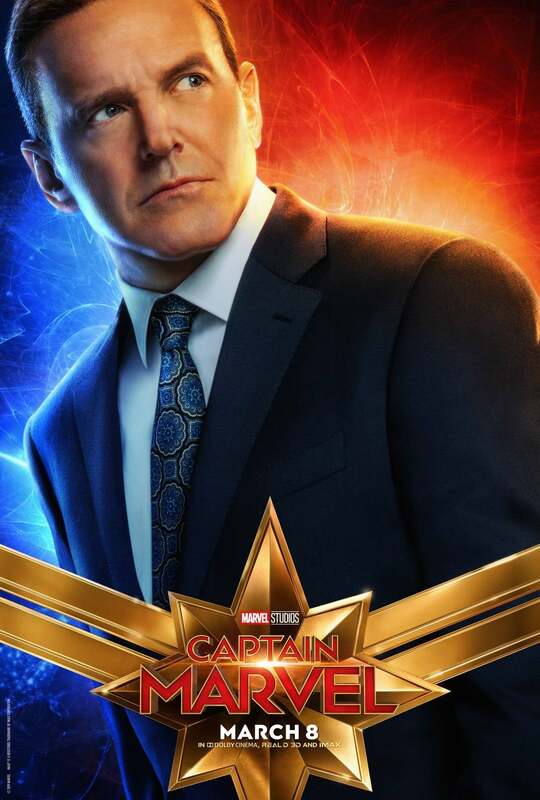 Featured in the posters are Captain Marvel, Nick Fury, Maria Rambeau, Goose the cat, Yon-Rogg, Annette Bening's mystery character, Korath, Minn-Erva, Talos, and Phil Coulson. 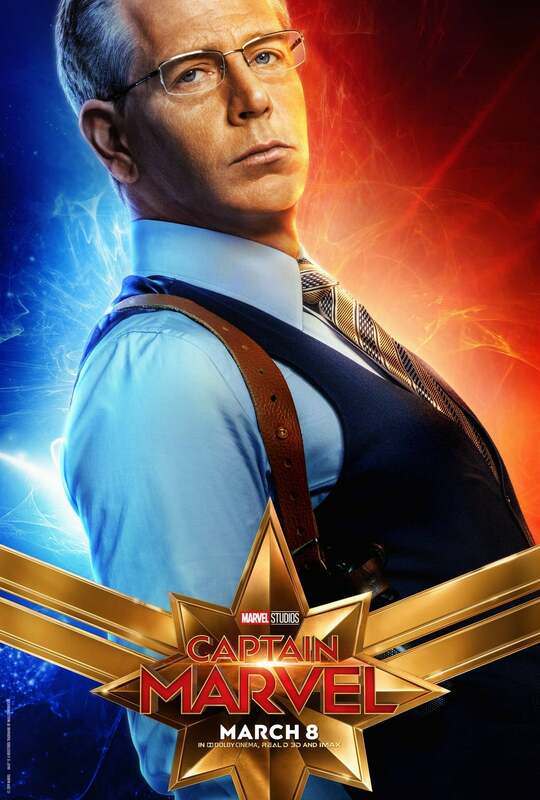 Ben Mendelsohn's Talos is sporting his human form here as opposed to his natural Skrull form. 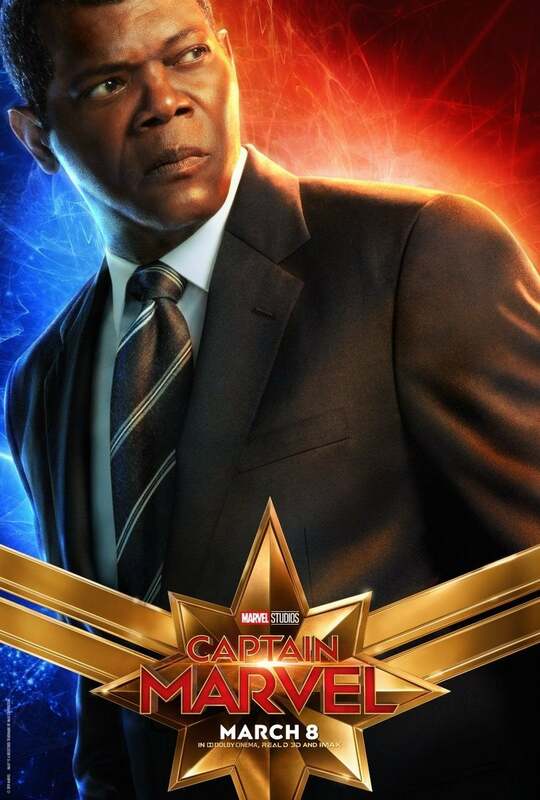 He plays the boss of Nick Fury, having already infiltrated S.H.I.E.L.D. 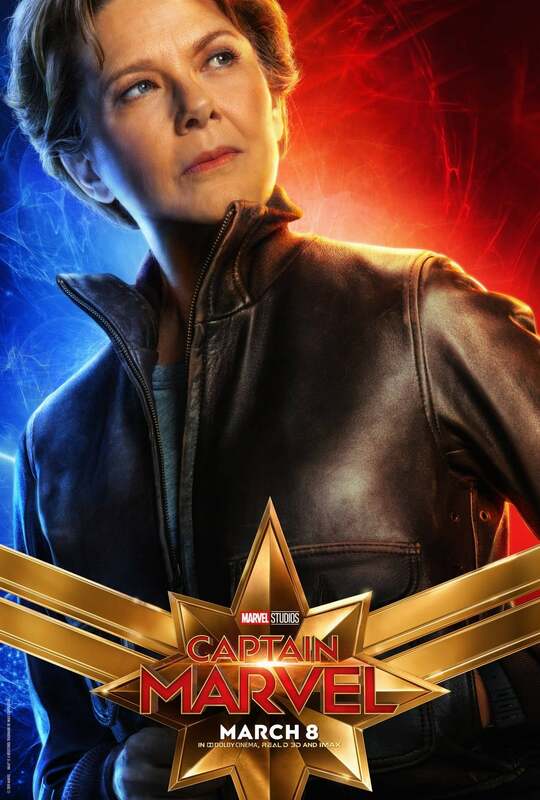 As for Bening's character, we think she's the Supreme Intelligence in human form, a lot like they handled EGO the Living Planet, but we still aren't sure either way. 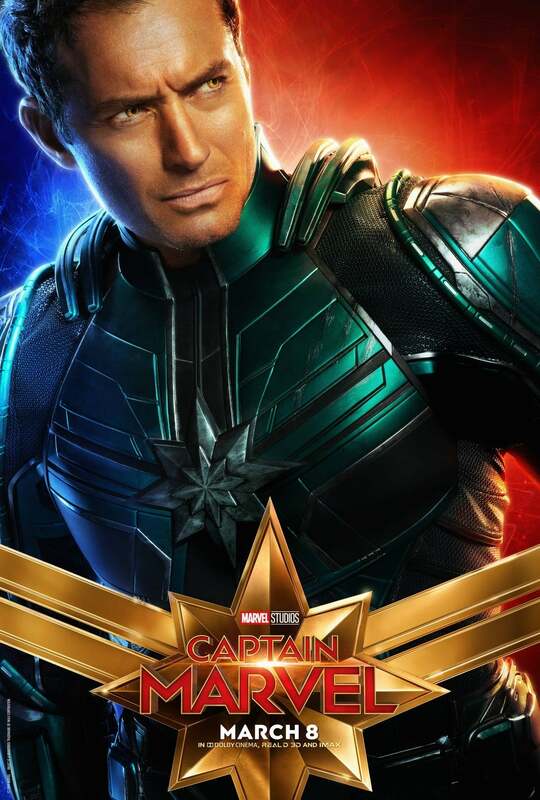 As for Jude Law's Yon-Rogg, well, it certainly seems like that is who he's playing, but we can't say for sure. 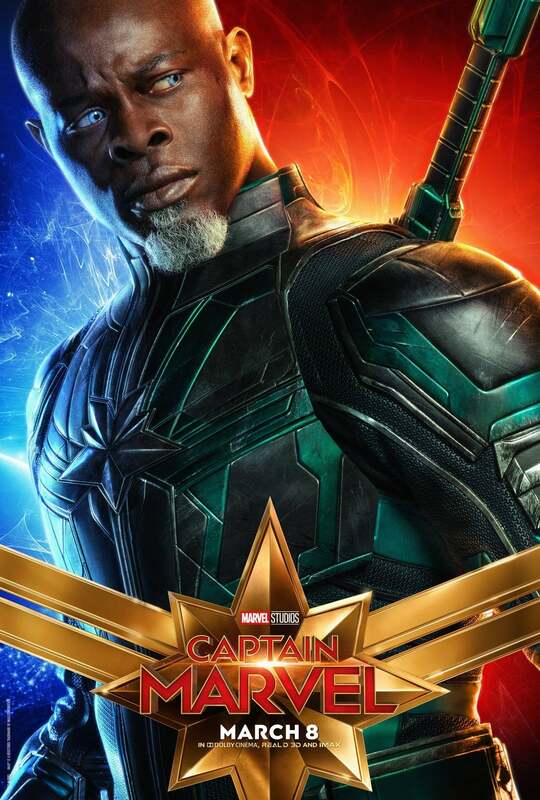 We do know he's important to the plot, so for now, we're going with Yon-Rogg. 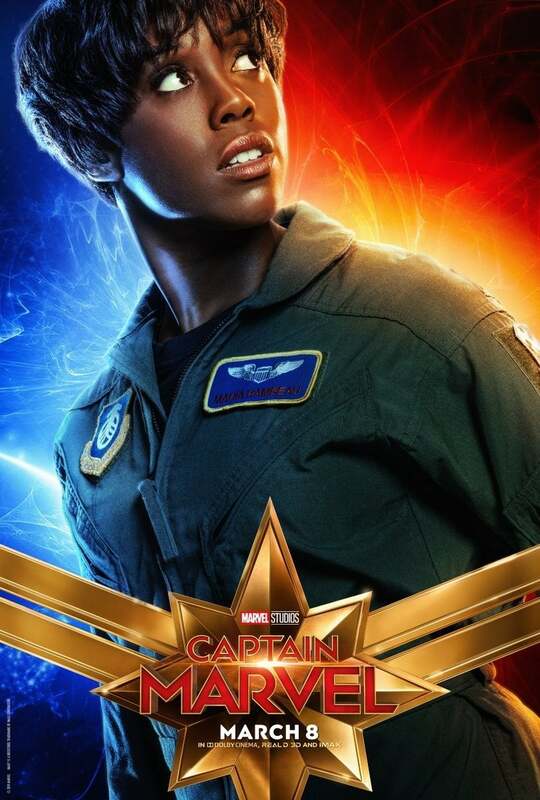 If you're unfamiliar with Captain Marvel, the official description can be found below. 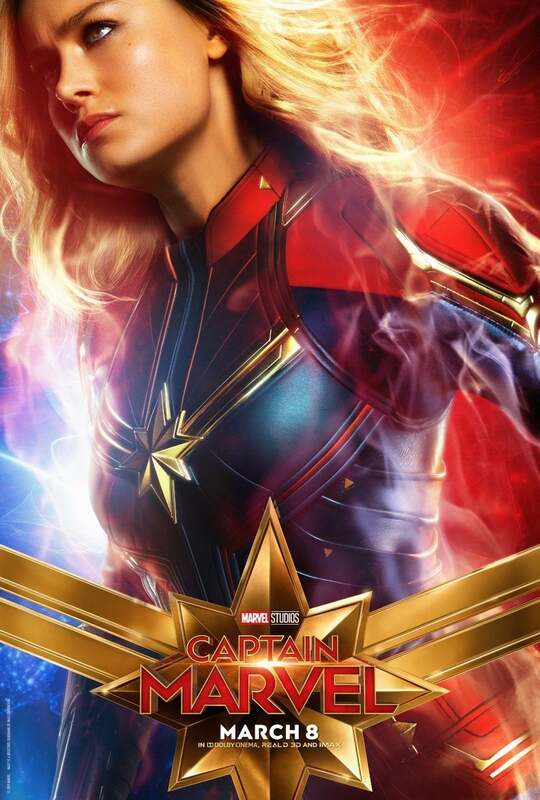 "Captain Marvel follows Carol Danvers as she becomes one of the universe’s most powerful heroes when Earth is caught in the middle of a galactic war between two alien races. 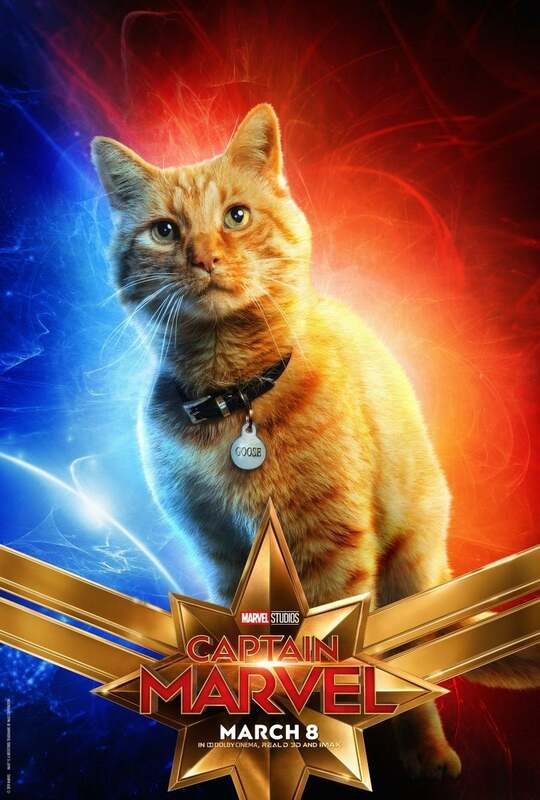 Set in the 1990s, Captain Marvel is an all-new adventure from a previously unseen period in the history of the Marvel Cinematic Universe." Hit the next slide to check out the posters!